Scott Ployer currently serves as Vice President of Facilities and Capital Planning overseeing a department whose scope of authority spans the entire managed-property portfolio. An established real estate management executive with over 30 years of experience in residential, commercial, facilities and asset management. 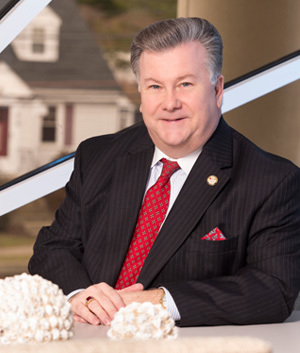 His expertise includes the areas of purchasing and contract negotiations, construction and project management, environmental compliance, safety and risk management, insurance, new business development, training, intergovernmental relations and the acquisition, refinancing and disposition of real estate assets on behalf of client owners. 1994: Insignia Management Group as a Sr. Property Manager; and was later promoted to District Manager for Southern New England where he also worked closely with various troubled property takeovers in the mid-Atlantic and Northeast. 1997: First Investment Corporation/FIC Management as Vice President & Regional Manager overseeing the eastern division encompassing all sites located east of the Mississippi River; also appointed a receiver by the Federal Bankruptcy Court for failed developments in Connecticut and Maryland. 2002: Corcoran Jennison Companies as a Regional Manager, Northeast; in 2003 he was appointed Director of Operations, Northeast and subsequently served the firm as Director of Asset Management and Vice President, Commercial Division. 2009: The Community Builders, Inc. as Regional Director of Operations and in 2012, then served as their Vice President of Facilities Management and Capital Planning. In this capacity, he directed all facilities management, capital planning and project management for 125 properties located in 15 states and the District of Columbia. 20014: Prior to joining Peabody Properties, Scott held the position of Vice President of Operations for Trinity Management LLC, where he directed all facets of facilities management, capital planning, rehabilitation project management, engineering, safety, risk management/risk mitigation, insurance procurement, energy management and sustainability as well as professional development. Reading, cooking, golf, volunteering with community & civic organizations and spending quality time with family and friends. Sign Up for Peabody Insights!